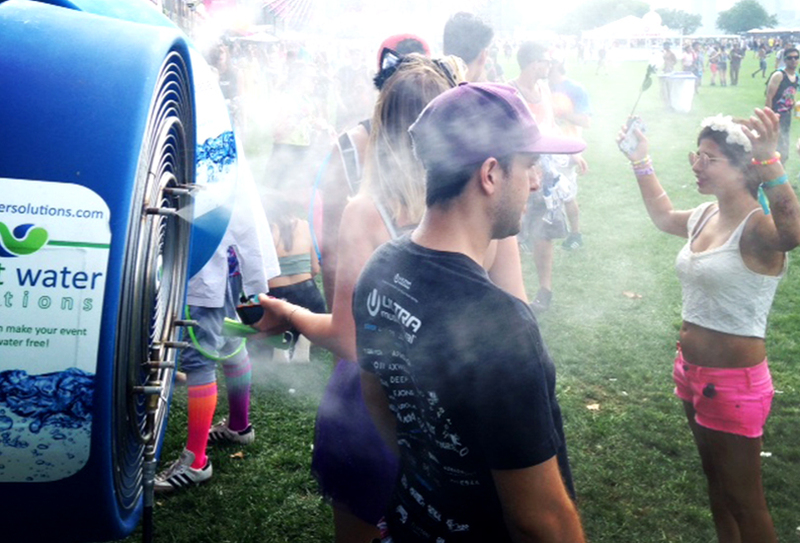 We install self-sufficient, zero-residue misting fans at festivals and events. 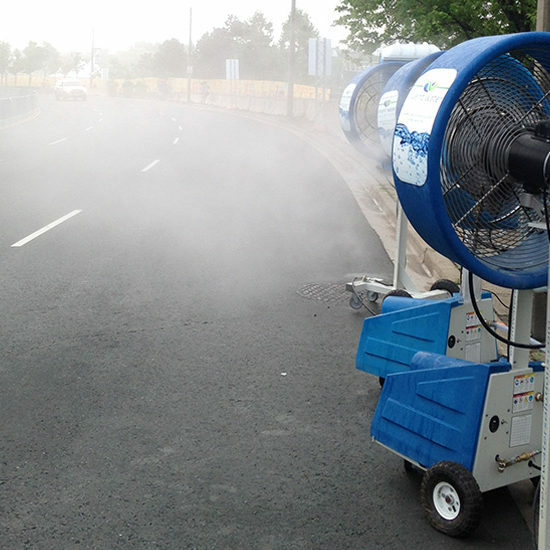 The fans have a diameter of 24” – 30” with 8 misting nozzles. The high pressure pumps feeding the fans release such a fine mist that it will leave no residue on the ground. These exceptional fans are perfect for outdoor festivals on grass because they will not saturate the grass around them, as the mist will dissipate. We install the fans to existing water sources so that they have a direct feed and constant water source. If there is no water source available, we use potable water tanks and a pump, which can sustain constant fan use for over 8 hours. The fans work best in pairs and rotate on a 45-degree angle to maximize the total misting area. 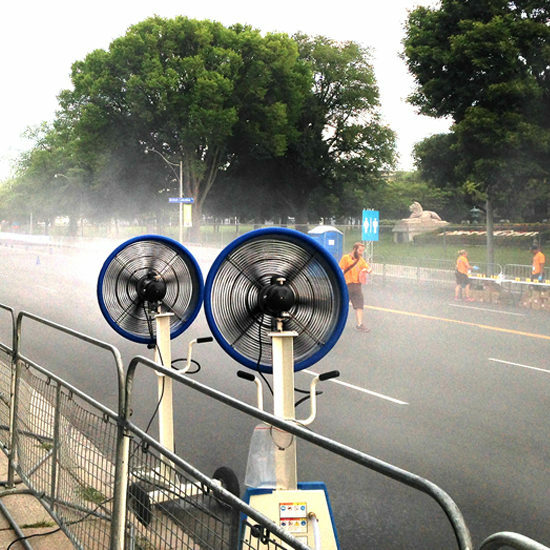 The misting fans are ideal for festivals and sporting events in the heat of the summer. The misting fans create a cooling oasis where the outdoor temperature drops by 25-degrees Fahrenheit within 10-feet of the fans. It also provides the perfect place for attendees, athletes, and staff to recover and cool off during the festival. The misting fans become a common hangout place for attendees looking to escape the heat. Want to find out how to set up a cooling station at your next event with us? Together, we can make your event bottled water free! We service all locations in North America, Australia & Europe.